San Pasqual High School offers school social work services to students and families in need. 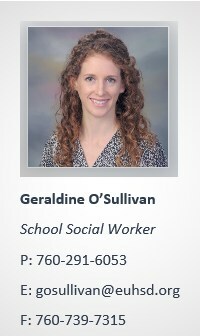 The School Social Worker assists students with academic learning by providing strategic services that identify and address the social-emotional-environmental issues that interfere with the educational process. 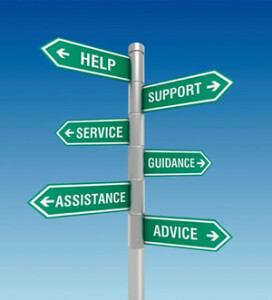 Our School Social Worker works with parents/guardians, teachers, school principals/assistant principals, community based resources and district employees to implement strategies that promote students’ positive school adjustment. Our school social worker provides school based counseling services, conducts school based counseling groups, collaborates with outside agencies, supports legislative requirements, assesses home, school, personal and community factors, provides behavioral support and consultation to school site staff, assists in functional behavior assessments, assists in management of crisis situations, conducts classroom meetings and classroom presentations, develops programs to address parent participation in school, provides case management, and completes psychosocial assessments to assist in determination of SPED services. As a service to parents, students and families, San Pasqual High School provides information about resources, organization and agencies available in the community. The listed programs, events, or activities are not presented, endorsed, recommended, supervised or sponsored by San Pasqual High School or the Escondido Union School District. The district assumes no liability or responsibility or any loss or injury arising out of participation and is merely permitting this material to be disseminated because of the possible interest of students and/or faculty.